WELCOME TO DAY 7 OF MY 12 DAYS OF CHRISTMAS DECORATING, CRAFT AND GIFT IDEA CHALLENGE. I am just cresting the half way mark through my 12 days of Christmas decorating, craft and gift idea challenge and I hope you have enjoyed it so far. 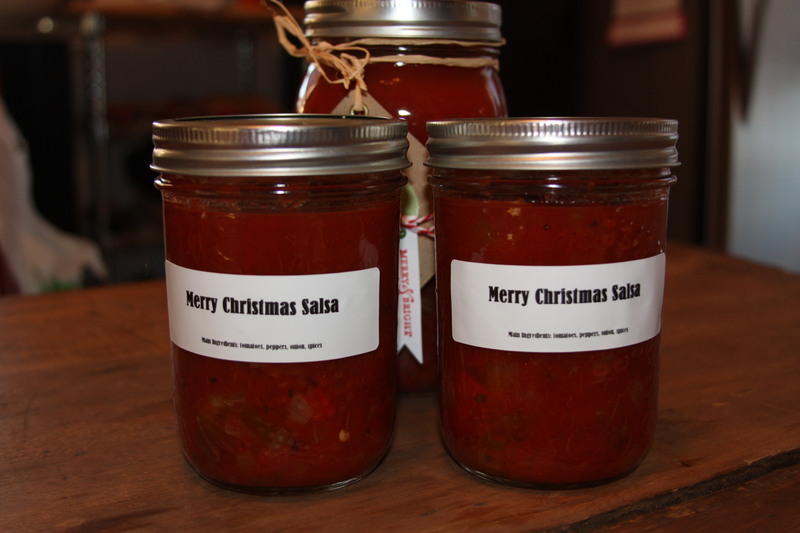 Today, I share a recipe for my version of Merry Christmas Salsa. The gift of my Merry Christmas Salsa to my family and very close friends each year has been going on for a long time, so I decided I am officially going to call it a tradition. 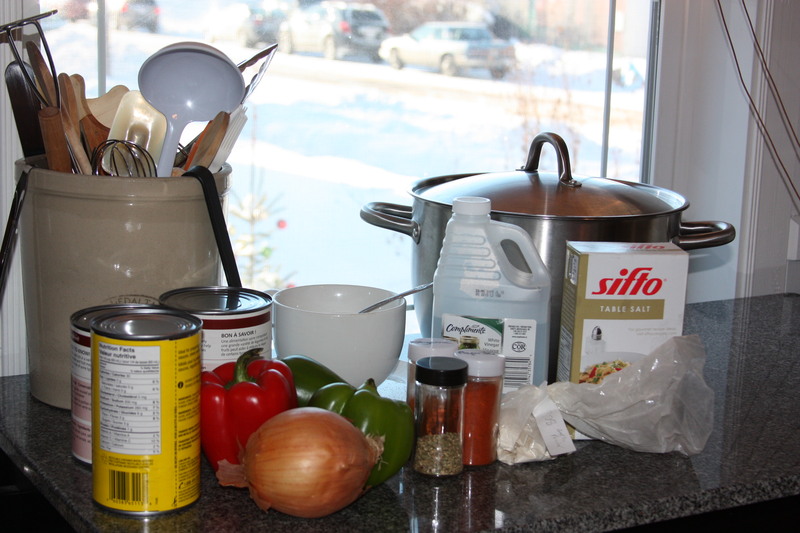 Put all of the ingredients in a large pot, bring to a boil, reduce to a simmer and cook for 1 1/2 hours. 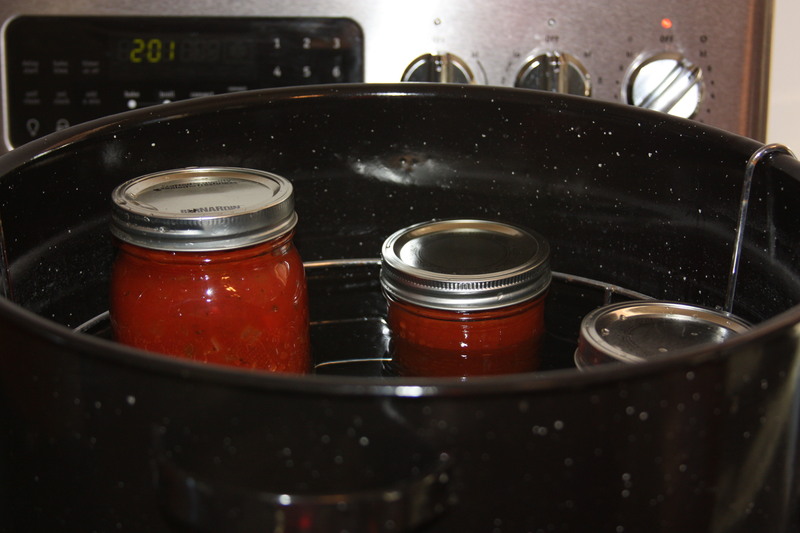 I put mine in canning jars and give them a water bath of 5 minutes. 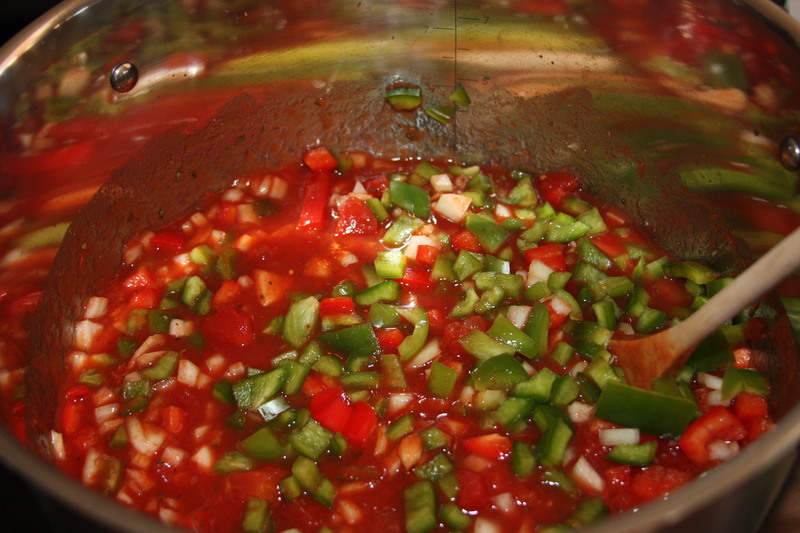 This will yield six to seven 1/2 pints of salsa. If you make it I hope you enjoy it and let me know how it turned out or send pictures!! 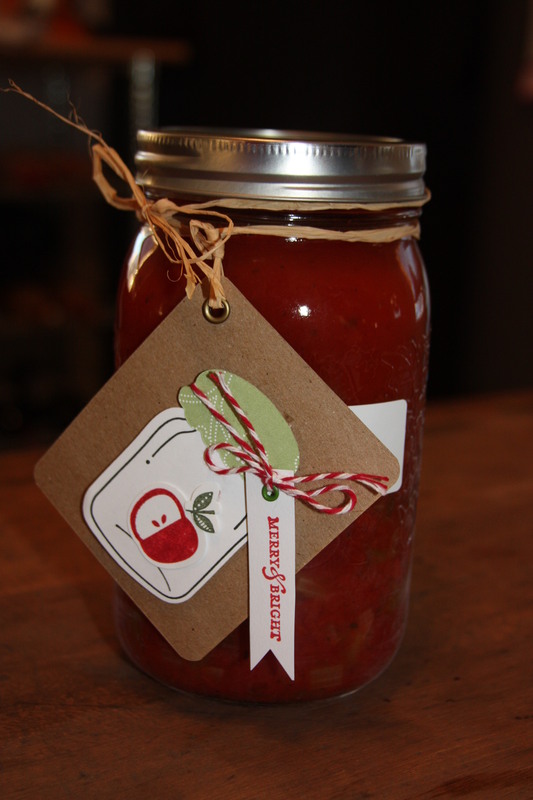 This entry was posted in DIY and tagged canning, challenge, Challenges, Christmas, DIY, easy, Food, food, gifts, green pepper, jars, red pepper, salsa, tradition. Bookmark the permalink. 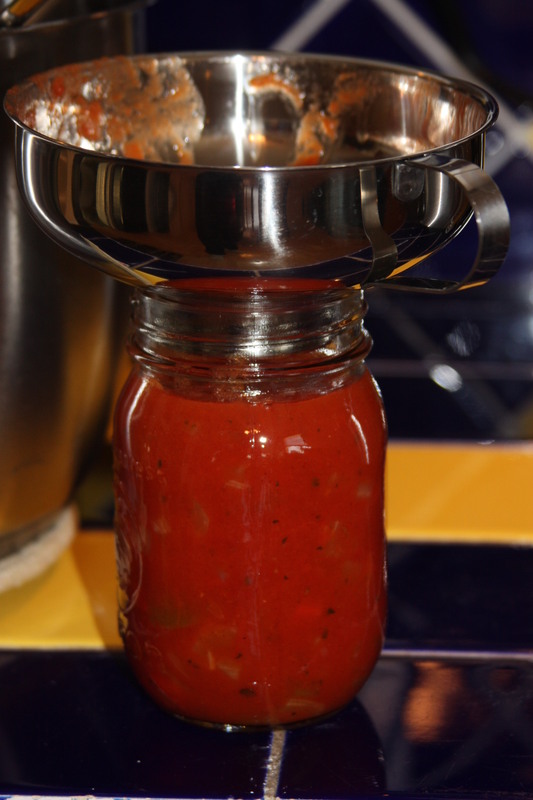 I really do love this Salsa! Waaaaay better than anything you buy in the stores.